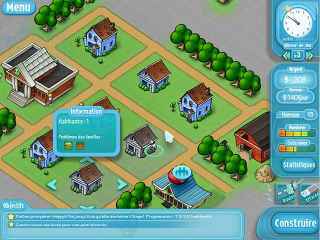 Free Download HappyVille: Quest for Utopia Game or Get Full Unlimited Game Version! Construct the city of your dreams in Happyville: Quest for Utopia! Design and plan your town to keep your citizen’s content! In order to get advantaged of playing HappyVille: Quest for Utopia full unlimiteg game version you must register the game. Solve your way through many themed puzzles, and even some of your own, as you let go of your mind and relax in the world of Jig Art Quest! Collect honey by matching flowers. Fill the bottles with honey and make your way through fun-filled levels. Solve 100 challenging inlay puzzles to keep the Earth from becoming an icy prison! Arctic Quest 2 will please fans and newcomers alike! Save the fishes in this Match 3 game! Help four friends explore the ocean floor! Stop a leaking oil tanker before it’s too late! Learn fun facts about animals and save them from extinction in this riveting Puzzle-Arcade game.